So wrote Indian Inspector and former agent for the Sioux, James McLaughlin, in 1910. Long used as a source for scholarship on the Battle of the Little Bighorn, McLaughlin’s classic memoir is a fascinating read. 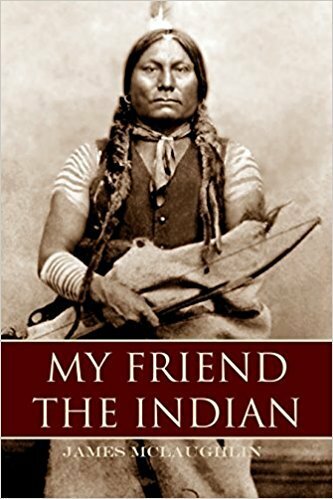 Acquainted with all of the major Native American personalities of the late 19th century (Red Cloud, Sitting Bull, Crazy Horse, Gall, Rain-in-the-Face, etc. ), McLaughlin had opportunities to question them at length about their involvement in Custer’s last battle.